Indian Wedding can't look in its original hues without wedding music. The music help setting a mood for the wedding ceremonies as it is playing in the background on the D- day. The impact of the music is such that everyone feels like to show some feet tapping movement. Excellent wedding music uplifts the mood for the wedding party. The Indian society has already adopted the shehnai as a form of wedding music. A wedding ceremony in India is incomplete without music and songs. An Indian wedding comprises of a variety of rituals and there is a separate piece of music or song for every occasion. Energy, enthusiasm and fun are all blended together in the celebration with the wedding music. In the olden days the relatives and friends of the hosts used to create music and sing various songs. In today's modern wedding professional wedding music performers are hired. But the magic of wedding music still remains the same for the olden and new days. 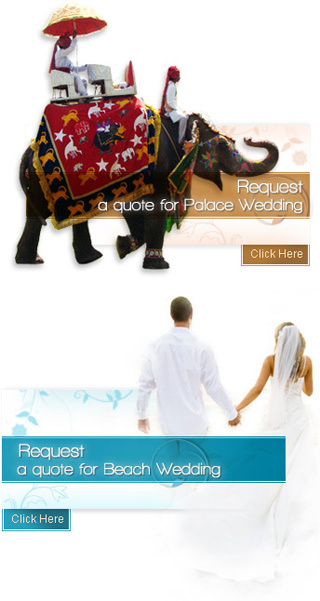 There are varieties of events that take place in a single wedding ceremony in India. There is different songs and music for Mehendi, sangeet, the main wedding day and Bidaai, departure of bride. In Mehendi ceremony the female relatives and friends of the bride apply Mehendi on the bride's hands and sing songs and dance for the whole night. This ritual is mainly famous in the Punjabi and Gujarati weddings. The ladies play the beats on "Dhol" and other women dance and sing. In Gujarat, the women perform the traditional dance- Garbha and Dandia. On the main day, the music is played in Baraat, the arrival of the groom. His friends and family members dance in front of the horse seated groom. They bring the groom to the wedding venue amidst a cheerful atmosphere. The main day of the wedding also includes the foot taping traditional and modern songs. If the professional performers are hired, they usually entertain the guests by playing famous Bollywood songs. People like to dance and cheer hence the performers choose the songs with lots of beats and rhythm. The Bidaai ceremony also has wedding music. The songs played are softer since the bride is about to leave her parents house. Be it traditional or modern, Indian wedding music is always great to hear. The songs are rich in lyrics and music makes everyone to rock and roll on the beats.